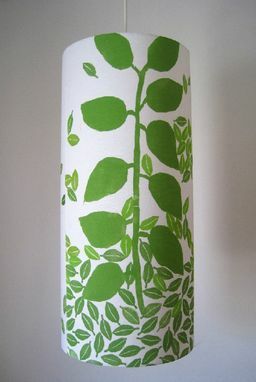 This lamp shade is made from hand printed fabric. 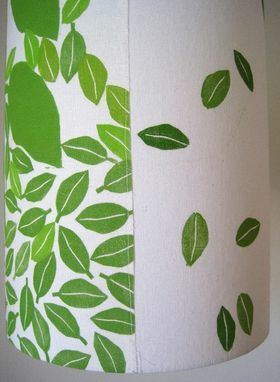 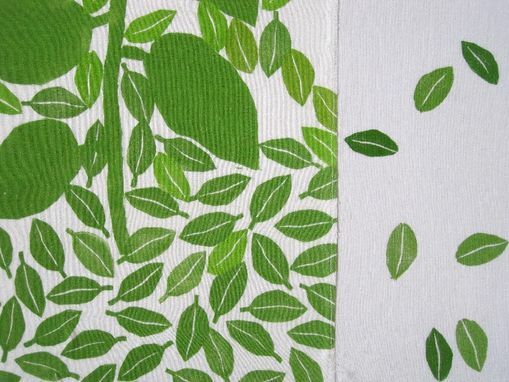 The middle panel, which pictures a plant with leaves surrounding it , is sewn to two side panels and adhered to a lamp shade backing(styrene) to create this unique shade. 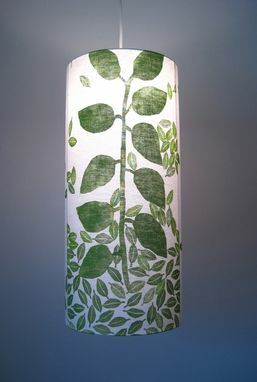 Great shade for pendant and hanging lighting. Top and bottom diameter: 9"